Whether you are looking to buy or sell a house, townhome, condo, land, farm, or commercial property in or around Galion, Bucyrus, Crestline, Mansfield, including the towns of Bellville, Butler, Lexington, Ontario or the surrounding areas, then you have found the right website. Here you will find a wide array of information about local real estate for sale. 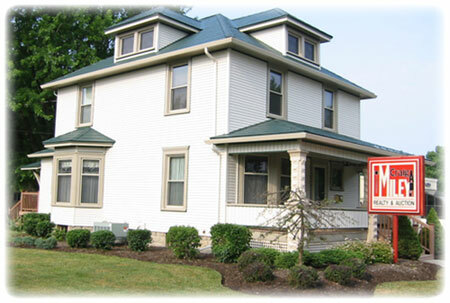 To find your next dream home, click on Property Search & call us today @ 419-468-4602! We have dedicated & experienced Realtors ready to assist you in the home buying process! By working with a local Realtor you have the advantage of being able to access all local IDX (internet data exchange) listings available through the Multiple Listing Service (MLS). Utilizing a Realtor also gives you the comfort of knowing that you are working with the most qualified professional who is dedicated to you as the Buyer or Seller & will always be looking out for your best interests while striving to make the process of buying or selling real estate as comfortable and pleasant as possible. If you are in the market to sell your property, we would love to help you! Our listings are selling! We are dedicated to providing professional, honest, & reliable services to make selling your property a smooth & easy process! In addition to conducting personal property auctions, Craig A. Miley Realty & Auction is an area leader in Real Estate at Auction, specializing in FARM, RESIDENTIAL, & COMMERCIAL Real Estate Auctions. Please click on Auctions to find a list of our upcoming auctions. If you are interested in having an auction, please contact Auctioneer Craig A. Miley, CAI @ 419-512-6295 Today! FOR ALL YOUR REAL ESTATE & AUCTION NEEDS!! Check Us Out On Facebook for Upcoming Auction Reminders, New Listings, & More!